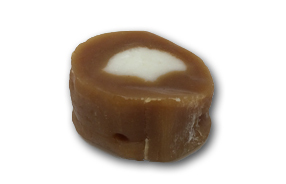 Made by Goetze’s in Maryland since 1917, these cream caramels are their signature jam. I have very fond memories of the occasions I’ve tried them, so when I saw this bag hanging, I knew it had to be mine. Classic. Super old school Americana Candyana. 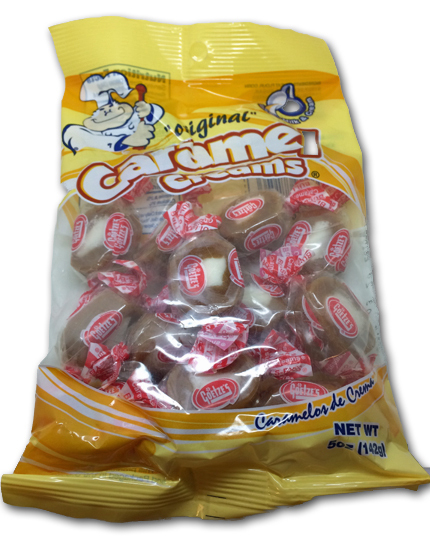 Theyre chewy, and creamy, and…weird. I mean like, …oddly weird. 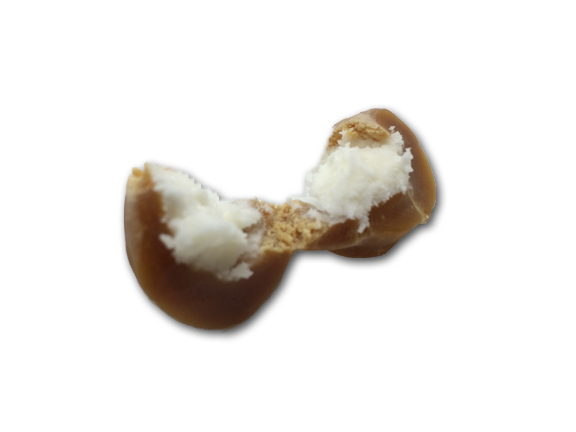 Yes, there’s caramel going on plus the creamy Oreo-like center. But there’s a strong savory note to the candy that’s a tiny bit off-putting. Adds a certain funk to it. I thought at first that since I acquired these at the dollar store, they must be toxic overages from Goetze’s secret warehouse. But then I remembered that they’ve always tasted this way. I like them alright, but more in concept than in practice. 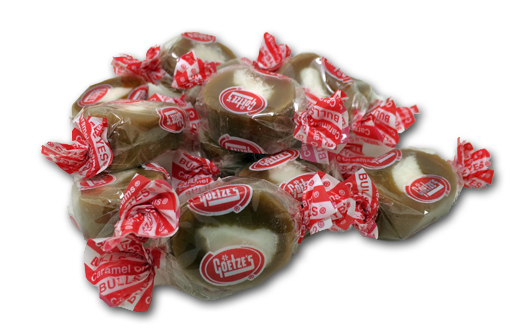 There’s so many crazy delicious caramels everywhere these days that, sadly, I’ll pass on these going forward.